The gas fireplace has become a cold season staple for Canadians today. After all, who doesn’t enjoy curling up in front of a warm fire—especially one that doesn’t throw sparks and is relatively easy to clean! But a gas fireplace still has the potential to pose a significant safety risk to your home and family. In this timely post, learn about essential gas fireplace safety tips that can keep your home and your family safe! If you are using a gas fireplace, or any kind of fireplace or heating element, for that matter, you really need to make sure you have a working, well-maintained, trustworthy carbon monoxide detector in place. Carbon monoxide is a naturally occurring byproduct of combustion processes. So when your gas fireplace powers up, it will emit some amount of carbon monoxide as it functions. Carbon monoxide can begin to build up when incomplete combustion occurs. The most common reason incomplete combustion occurs is when your fireplace is dirty or poorly maintained or when it has started to malfunction and needs repairs. If you have had your annual furnace inspection and maintenance service done, you are probably already familiar with the “safety barrier” rule. This rule states that the area all around any hot or potentially flammable appliance or piece of equipment should stay clear to an area of 3 feet (0.91 meters). This means there shouldn’t be any materials, stored items, books or magazines, furniture, pet bedding or toys, even seasonal decorations—anything—nearer to your gas fireplace than 3 feet. This is especially true if you are renovating or redecorating any portion of your home. Wood or drywall dust, volatile organic compounds (VOCs) from paints and adhesives and other combustible materials add an extra layer of risk that dictates using a safer heat source until the renovations are completed. With the intense heat any fireplace can generate, it only takes a draft wafting through to put potentially flammable material in contact with the hot fireplace surface—with predictable and disastrous results. It is easy to think that because your gas fireplace has a protective glass barrier between you and the fire within that you no longer need to put up a safety screen. What is easy but dangerous to forget is that the glass barrier and the structure of the gas fireplace itself can still get extremely hot! Imagine how painful it is to touch a hot pan or a hot stove burner by mistake. It could be just as painful and damaging if anyone in your family (people or pets) for any reason were to come in contact with the hot glass plate or the surrounding fireplace unit. It is true that Canadian law now requires gas fireplaces to come with a safety screen. But you still have to attach it. And if you have an older gas fireplace, it will be up to you to make sure the screen is in place at all times (even after the still-hot fireplace has been turned off). Most importantly, it is imperative to ensure that younger family members and pets are not permitted within touch radius at any time. Over time and with regular use, any gas fireplace can become dirty. Particulate matter, dust and micro-debris can coat the fan, motor and burner components, causing incomplete combustion and unsafe operating conditions. The tempered glass pane that separates the fire within from you and your family can also accumulate a build-up of residue, especially after a cold winter of heavy use and as the gas logs begin to deteriorate naturally with time. It is vital to follow the fireplace manufacturer instructions for routine maintenance cleaning of this glass pane and other fireplace components as needed. One of the most common pricey gas fireplace repairs is a broken glass pane that has cracked during cleaning. Unless you are very familiar and comfortable with fireplace components, let your service technician do this detailed cleaning work during your annual gas fireplace inspection and repair service. This way, you know the components have been properly cleaned according to manufacturer guidelines. Plus, you know your fireplace is operating efficiently and safely and does not present a fire safety risk. There are several different types of gas fireplaces, gas fireplace inserts and gas stoves on the modern market. Some are largely decorative—a nice accent for holiday parties but certainly not designed to be an energy-efficient and cost-efficient heater. Others are true-blue winter heaters that can do the same job as a regular furnace. According to the Natural Resources Canada website, older fireplace units may offer only 30 percent energy efficiency, while new gas fireplaces can offer 70 percent or greater energy efficiency! Upgrading to a new, cost-efficient, energy-efficient gas fireplace, gas stove or gas fireplace insert can help you trim monthly utility bills, improve home comfort, provide heat even during unexpected power outages and add ambiance and enjoyment to your home space. Best of all, upgrading to a new gas fireplace that is installed by a licensed and certified installation technician will give you peace of mind knowing that your fireplace is clean, modern and safe to operate inside your home this winter. 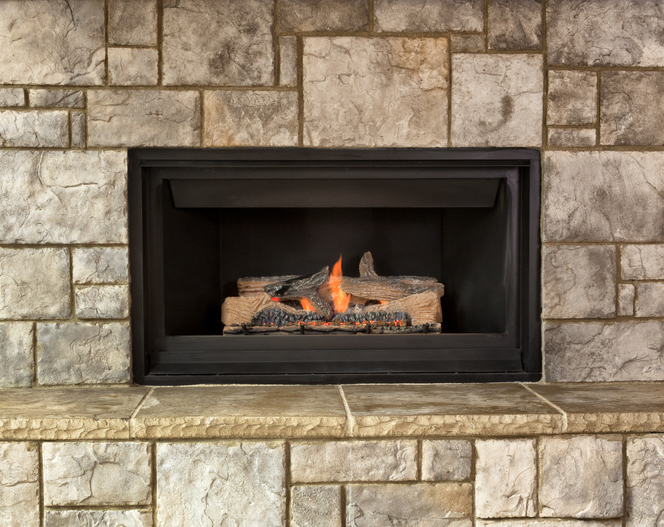 Has your gas fireplace had its annual inspection and maintenance service? Are you interested in upgrading to a new gas fireplace insert, gas stove or full gas fireplace?